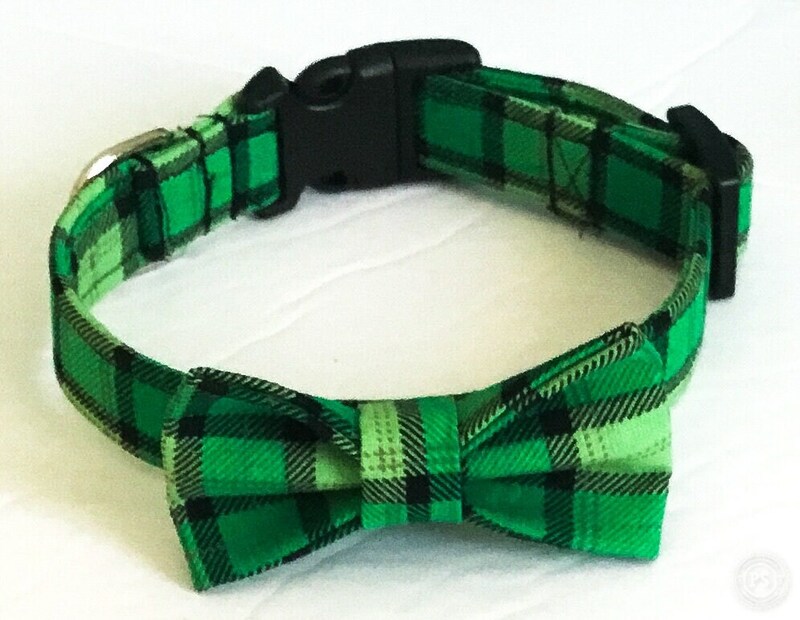 This Green and Black Plaid St. Patrick’s Day Bowtie Collar is cute for both male dogs or cats on this special holiday. The St. Patrick’s Day Collar with Bow tie can be made in both a buckled or a martingale style. Cat’s will receive breakaway collar hardware and a bell if a cat collar is selected. A matching 5 ft leash and metal collar hardware can be purchased as upgrades in the options when ordering. 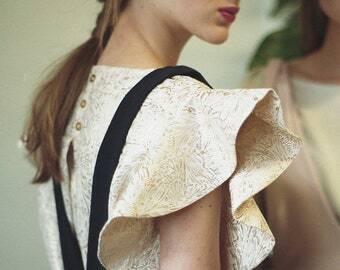 The bow tie attaches to the collar by way of wraparound velcro which has been added to the back of the bow tie. The velcro is additionally supported by felt for longer lasting strength and durability for the bow tie. Excellent experience and arrived on time.